Late July we gathered all our NGO partners at Luta Pela Paz (LPP), where LPP presented their project and their results. The NGO has it’s main base in the slum area Maré, a big area between Linha Vermelha (the highway towards the international airport) and Avenida Brasil. Maré is considered to be one of the most dangerous areas in RIo de Janeiro’s suburbs, and LPP is doing an amazing job capturing the youth before they fall into criminality. They also have a special program for youth that has already taken part of the big world of criminality in the community, and the NGO is respected among the trafficking’s leaders and they respond positive to the recruitment if it what the youngster wants. Our NGO meeting on the other hand was held at LPP’s office in Lapa which was created when Reebok started a partnership with them and needed a ”safer” place to have employees. 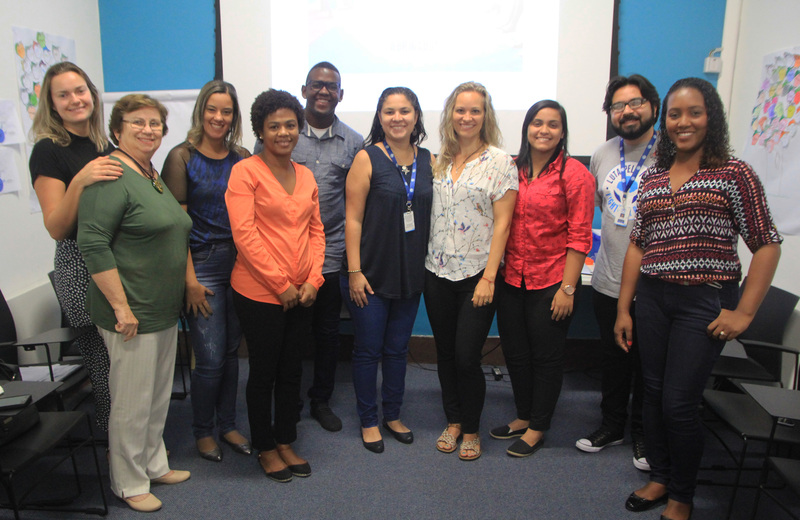 They also established a department for Professional Development and Careers at the office in Lapa, where our participants at LPP normally meets with us to identify dreams, create educational paths and prepare themselves for the labour market. These meetings are essential for DLW and for our NGO partners, to share experiences and learn from each other, remembering that our mission is the same, to change the future of this youngsters. Thank you guys for a great meeting and thank you LPP for the hospitality!